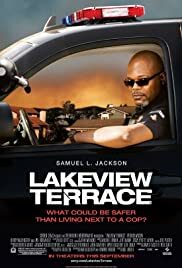 (Synopsis) Abel Turner (Samuel L. Jackson) is a LAPD officer and strict single father of a 15 year old daughter and 10 year old son. He is also the self appointed neighborhood watch patrol in Lakeview Terrace. A young interracial couple, Chris (Patrick Wilson) and Lisa Mattson (Kerry Washington), move into their first home next door to Abel. Abel is raising his children by very strict standards, and he disapproves of any bad behavior in the neighborhood. Abel believes that Chris and Lisa are bad influences on his children, and he decides to harass them until they move. 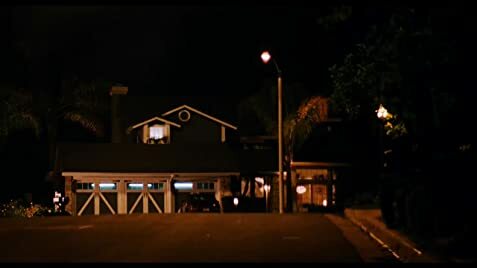 Abel has a security flood light that is focused into Chris and Lisa's bedroom. Chris has asked Abel to move it, but he won't. Then someone deliberately damages the air conditioning unit and slashes four of Chris' tires. Chris tries to make a truce with Abel, but Abel is determined to get rid of them. After Abel crosses the line, Chris and Lisa begin to fight back and the situation escalates.